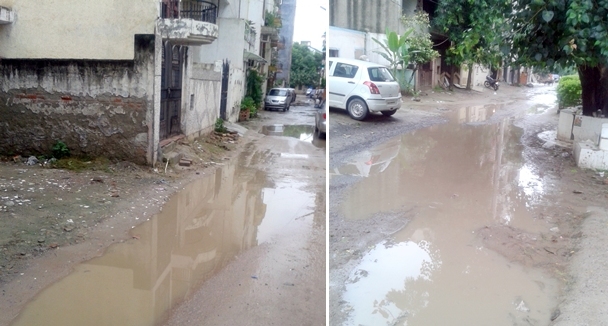 Please see the condition of Roads in Sect-8, there is no proper Drainage system , developed by DDA, even after 20 years. of its allotment since 1992. The photographs of Sector-8, Block B indicates itself the condition of Roads. This condition was shown to the Ex. Eng. WD-8 also, but no development since then. You are requested to take up the issue on urgent basis.